Today is Friday and this is my 450th blog post! I have a children’s book review to add to the Perfect Picture Book resource list that author Susanna Leonard Hill is building on her blog. For more wonderful reviews from authors, educators and others who contributed today, please go here. In the evening, we play games and read stories before bedtime. 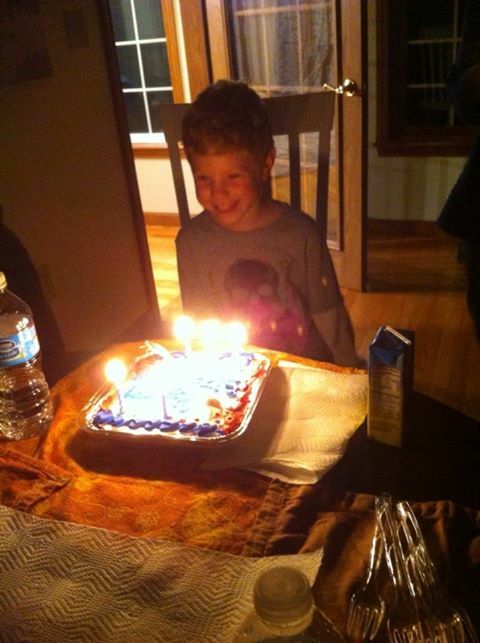 Last night, we were able to celebrate his birthday, in person! One of the stories on Jeremy’s bookshelf is an oldie by Russell and Lillian Hoban. It’s PERFECT for International Day of the Girl. Why not arrange a play-date for your child with a friend? They can help make these Mini-Muffins – and then have their own little tea party, just like Frances and Thelma! Photo courtesy of: http://www.cookingwithmykid.com/breakfast/mini-multigrain-cranberry-muffins/ Visit the site for many more ideas for cooking with children. Here’s a kid-friendly simple and nutritious mini muffin recipe from my book which is now on sale on Amazon for only $14.95. Please remember all of those preschool teachers, daycare providers, babysitters, parents and grandparents who would LOVE to receive a copy for Christmas this year! 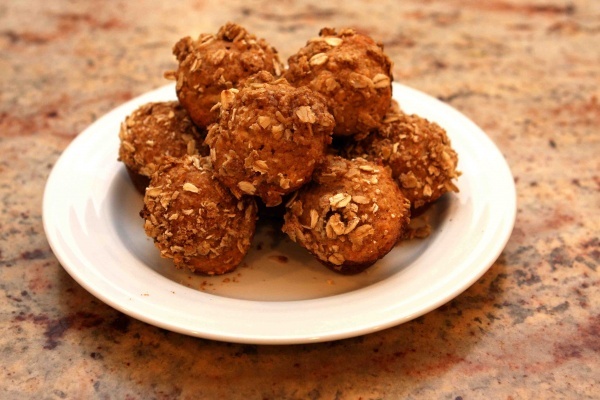 You will need: 1 ½ cups whole wheat flour, ½ cup white flour, ¼ cup ground sesame seeds, 2 tsp baking powder, 2 eggs, ½ cup yogurt, ¼ cup canola oil, ½ cup honey, 1 Tb grated orange zest, juice of one orange, 2 bowls, 1 oiled mini muffin pan, electric mixer, whipped cream cheese, raisins. Mix flours, ground sesame seed and baking powder in large bowl. Beat eggs, yogurt, orange zest, orange juice, honey and oil in another bowl and add to dry ingredients. Gently blend and then spoon into muffin cups – 2/3 full. Bake at 375 degrees for 15 to 20 minutes until muffins are golden. When cool, frost with cream cheese and decorate with raisins. Makes 2 dozen – store in airtight container and refrigerate. NEW AND EXCITING BLOG SERIES COMING!!!! I’m thrilled about an upcoming project that I have been working on. On the third Saturday of each month, I’ll be interviewing a picture book author or illustrator. 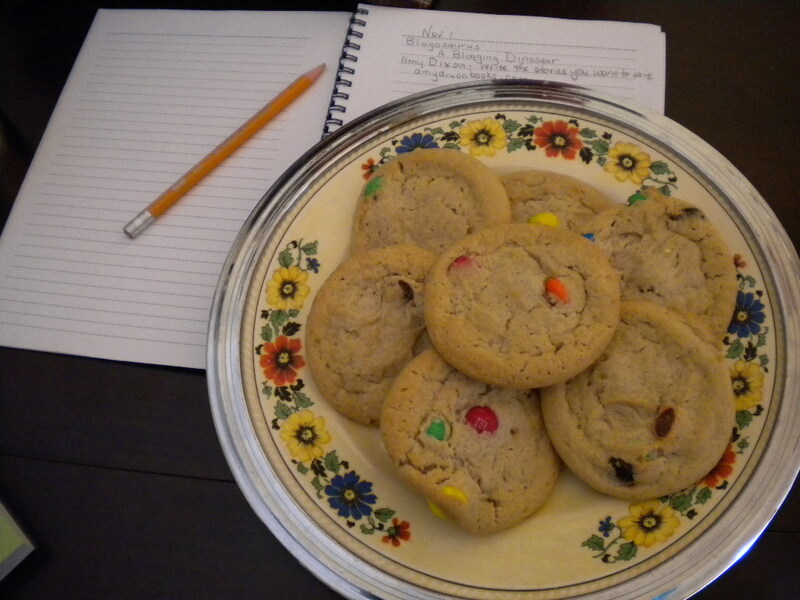 WILL WRITE FOR COOKIES will feature authors and illustrators from around the world. Being around my five-year old grandson, I am reminded daily how CURIOUS young kids are. They are ALWAYS asking questions! In this new series, I’ll be asking five questions – WHO, WHAT, WHERE, WHEN AND WHY. I hope the answers provided will be educational and entertaining, especially for aspiring authors and illustrators. Award-winning author/illustrator Iza Trapani has graciously agreed to lead off the series on October 19. Coming up in November will be picture book author and founder of Perfect Picture Book Friday, Susanna Leonard Hill. Author, movie-maker and child advocate Susanne Gervay, RA of SCBWI Australia, will finish off the year in December. I hope you will all stop by and then share the links so others can enjoy the interviews as well. This entry was posted in International Day of the Girl, Kid-friendly recipes, Perfect Picture Book Friday, Picture Book Review and tagged A Bargain for Frances, International Day of the Girl, Iza Trapani, Lillian Hoban, Mini muffin recipe, Perfect Picture Book, Russell Hoban, Susanna Leonard Hill, Susanne Gervay by viviankirkfield. Bookmark the permalink. 450 posts! Wow! Congratulations, Vivian, Well done. And you sound so content being surrounded by boxes…and sustained by the hugs of your grandson. You didn’t list your book on the PPB website — almost missed. Great choice. Happy to see you focusing on International Day of the Girl. Hi Pat! I’ve been MIA from blogging for quite a while…it’s good to be back. :) I’m glad you liked the choice…it should be on Susanna’s link up now. I’ll try to get to read all the posts. Yes, I saw it earlier. Check out Clar’s blog too. A few of use focused on International Day of the Girl. And, Malala will be interviewed tonight on ABC 20/20 by Diane Sawyer at 10 p.m.
I’ve been wondering how the move went . . . sounds like it was the RIGHT MOVE to make! Does your grandson live with you? Or just near enough for frequent visits? So good to connect again, Nancy! It was the RIGHT move. The house is kind of unique…originally a ranch…seven years ago they put on an addition…just like another ranch house, attached with a connecting room which is a 4-season sun room where we can all hang out together. I love to cook…our daughter works all day and doesn’t enjoy cooking as much…so I make enough for all of us and we usually eat dinner together…which is perfect. That is SO COOL! What a Win-Win for all concerned. Wow! You are a busy woman! Your grandson is very lucky to have you so close now. Special times ahead! We have this book on our bookshelf – it has been a favorite here since long before I was around. Thanks for sharing all your fun happenings! So glad the move went well and you are obviously adoring the closeness to family. I love all the Frances books, too, though did not know this one. I’m so glad your move went well, and you’re settling in nicely. 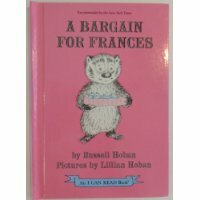 A Bargain for Frances is the first Frances book I encountered — it was in our church’s library when my mother took over doing the library stuff, and we both enjoyed it very much. So glad you’ve added it to our PPBF list. Will Write for Cookies sounds fabulous! I will look forward to reading the interviews. I remember this one from years ago, and it’s still a winner. Back then, it wasn’t frowned upon to teach a lesson in a PB. It certainly works in “A Bargain for Frances”! Vivian, what a blessing to be close to your grandson. Enjoy every precious moment. And thanks for recommending this classic. Love the play date idea! Perfect for kiddos and parents. Glad you are settling in and enjoying the time with your family. We miss you in CO, but am happy we can stay connected in sooo many ways. I loved your post from beginning to end. There is little more satisfying than sharing a book with someone you love. Enjoy. I know…my posts are always soooo long – it’s hard to write short ones. :) Glad we had a chance to have our ‘tea’ party before I left Colorado, Julie! Whoa! I nearly missed this one. What a beautiful story to snuggle up and enjoy with a grandson. So pleased you have finally made it and everything went well for you. Enjoy all the wonderful adventures ahead with your family. Such a lovely post, Vivian, all those yummy goodies too. Wow, so much to celebrate! So many posts, so many miles, so many boxes! Did you move in with your daughter’s family? I’m confused, I must have missed something. Your grandson is lucky to have you as a grandma! Hi Milka…yes, we moved to New Hampshire and we are ‘sharing’ a house that is really two separate houses…a ranch of 1100 sq ft with an addition of 1100 sq ft with a 4-season sunroom that connects both houses. So we each have our own kitchen, living room, bedrooms, bathrooms…our daughter is newly divorced and shares equal custody…so she has Jeremy every other week and weekend. It was a big move (2000 miles) and a difficult one (350 boxes that I had to pack and now unpack)…but it was totally worth all the hassles. Wow, that’s a lot of changes but it seems like a wonderful opportunity to be close to your daughter and your grandson, especially in these difficult times. 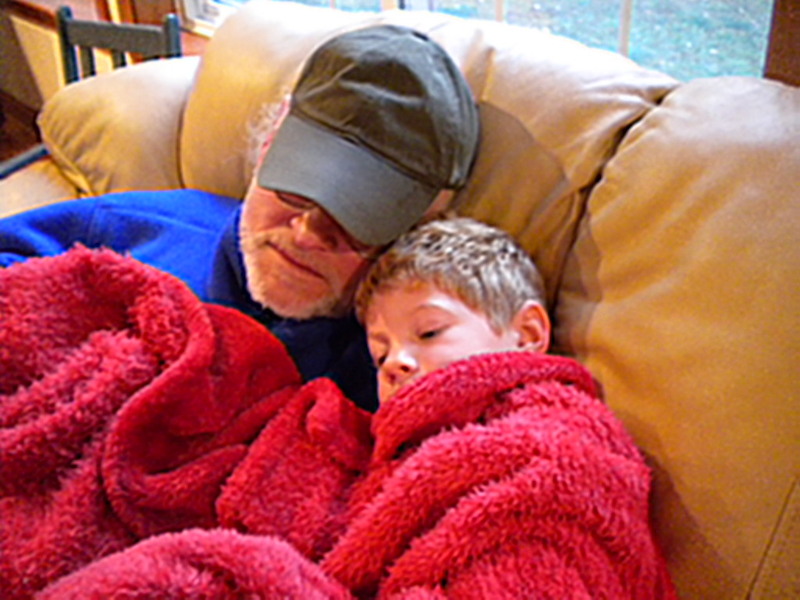 Grandparents are so important in a child’s life, it’s great you can be involved with your grandson so much. I miss that for my kids but that’s life. Congratulations again on this big move! Fantastic… I love it when bloggers highlight the oldies but goodies. Thank you and I look forward to reading the Cookie interviews! Thanks so much for stopping by, Beverly! I love those older classic picture books and I’m glad you will be back to read the interviews. We should get some great recipes also! Glad to hear that your BIG move went well…am sure things will keep getting even better.